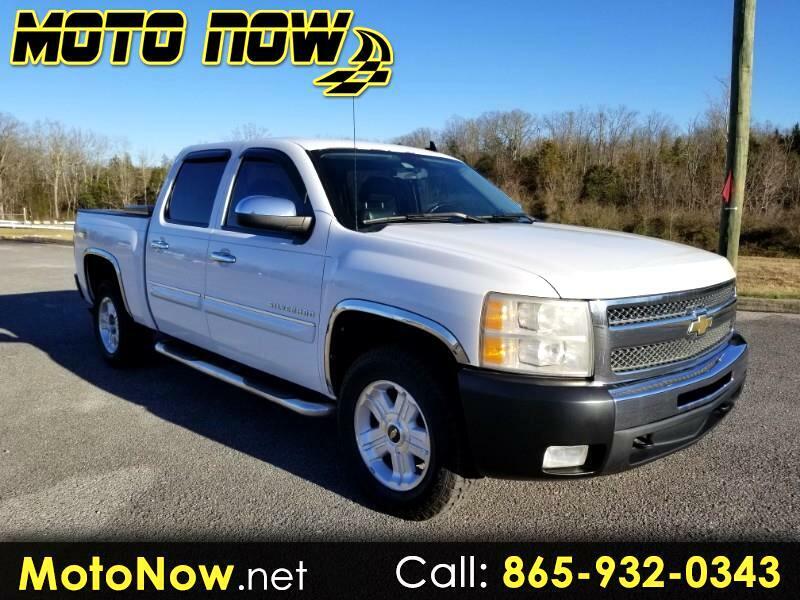 *** AT OUR SEVIERVILLE LOCATION **** The Chevy Silverado is designed to offer a smooth ride and confident handling while delivering superior capability and power. Silverado was last redesigned for 2007. As with all full-size pickups, the Silverado is available in a wide range of sizes, engines, and capabilities, so it's of primary importance to analyze your needs and then select the model that best serves those needs. The base engine is a 4.3-liter V6 (195 hp/260 lb-ft of torque) with a four-speed automatic, offered only on Regular Cabs and 2WD Extended Cab models with the standard bed. The 4.8-liter V8 (302 hp/305 lb-ft of torque) and four-speed automatic are standard on Crew Cab and 4WD Extended Cab models with the standard bed, and on many LT models. The 5.3-liter V8 (315 hp/338 lb-ft of torque, or 326 hp/348 lb-ft of torque on E85), with active fuel management that shuts off cylinders to save fuel, and iron or aluminum block, is standard on most LTZ models and is matched with a six-speed automatic. XFE (Xtra Fuel Economy) models use a 5.3-liter V8, six-speed automatic and cruising-biased axle ratio of 3.08:1 to increase EPA ratings. XFE versions feature aerodynamic upgrades in the form of a soft bed cover and extended front air dam, plus aluminum wheels (including the spare) and lower front suspension arms, locking rear differential, and low rolling resistance tires. A trailering package is standard so XFE models can tow up to 7,000 pounds. The Hybrid, available only in the Crew Cab body style, uses a 6.0-liter V8 (332 hp/367 lb-ft of torque), battery pack, and four-speed automatic with two electric motors in it. EPA ratings are 21/22 mpg. Tow ratings are available to 6100 pounds, and maximum payload is in the 1,400-pound range. For 2011, Silverado gets few changes. The OnStar has been upgraded to 9.0, there have been enhancements to reduce wind noise, and there are a few new color choices.